Ever since The Brill Building was built-in 1931, it has been synonymous with the music industry. Its eleven floors housed music industry offices and recording studios. The Brill Building was also home to some of the greatest songwriting teams in musical history. Especially from the late-fifties and sixties, when everyone from Bacharach and David, Lieber and Stoller and Gerry Goffin and Carole King called the Brill Building Home. They made their name at The Brill Building. So did Barry Mann and Cynthia Weil, who were one of the most prolific and successful songwriting partnerships of their generation. Composer Barry Mann and lyricist Cynthia Weil first met in 1959, when they were working for Aldon Music, the music publishing company that had been founded by Don Kirshner and Al Nevins in 1958. When Cynthia Mann arrived at Aldon Music, she was an aspiring lyricist who was looking for a songwriting partner. So was Barry Mann, who was in the early stages as his career as a composer. After their initial meeting, where the pair hit it off, they formed what would become one of the successful songwriting partnerships in the Brill Building. The Barry Mann and Cynthia Weil songwriting was just the latest successful songwriting partnership formed in the Brill Building. This included Jeff Barry and Ellie Greenwich, Jerry Lieber and Mike Stoller, Carole King and Gerry Goffin, Neil Sedaka and Howard Greenfield. Each of these songwriting partnerships were given their own individual cubicles within the Brill Building. Within each cubicle, was a piano, where songs would take shape. Barry Mann would sit at the piano while Cynthia Weil wrote the lyrics to the songs. One of their compositions, Forty Winks Away featured on the B-Side of Neil Sedaka’s top ten single Stairway To Heaven. This was a boost to the nascent songwriting partnership’s confidence, and would the first of many songs from the pen of Barry Mann and Cynthia Weil that reached the upper reaches of the charts. In 1961, the Barry Mann and Cynthia Weil wrote several hit singles, including two for Tony Orlando, including Bless You and Happy Times Are Here To Stay which Barry Mann and Cynthia Weil wrote with Gerry Goffin. Barry Mann and Cynthia Weil also wrote Echoes with Carole Bayer Sager which gave Teddy Randazzo a hit single in 1961. It was the most successful year of Barry Mann and Cynthia Weil’s career so far. It was also the year that Barry Mann and Cynthia Weil were married. Fifty-six years later, they’re still together, and regarded as one of the greatest songwriting partnerships in the history of popular music. 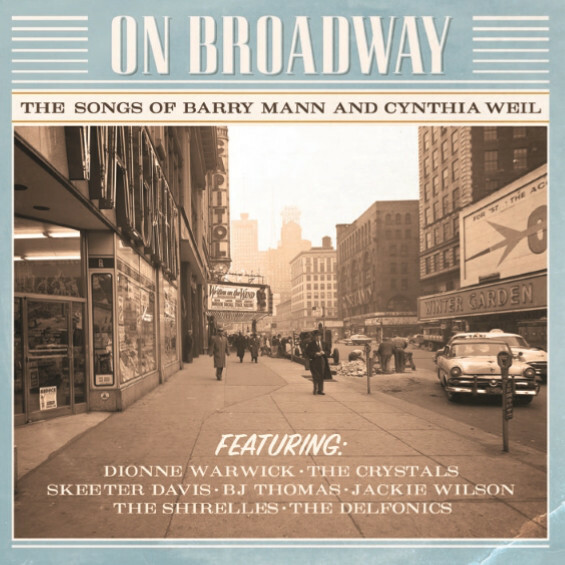 Their partnership is celebrated on a new compilation released by Playback Records, On Broadway: The Songs Of Barry Mann And Cynthia Weil. It features twenty-eight rare and classic songs from the Barry Mann And Cynthia Weil songwriting partnership. This includes songs from The Executives, The Crystals, Skeeter Davis, The Shirelles, The Paris Sisters, Walter Jackson, Glenn Yarbrough, Dionne Warwick, Roy Hamilton, BJ Thomas, The Delfonics and Jackie Wilson. These are just some of the songs that can be found On Broadway: The Songs Of Barry Mann And Cynthia Weil. It’s packed full of quality music, including songs from familiar faces and new names. Fittingly, given Playback Records is an Australian label, it’s an Australian group The Executives, that open On Broadway: The Songs Of Barry Mann And Cynthia Weil with It’s A Happening World. It’s a Barry Mann and Cynthia Weil composition, that was released as a single on Festival Records in 1968. Despite being a carefully crafted and joyous sixties pop song, that epitomises the spirit of the sixties, it stalled in the upper reaches of the Australian charts. It’s A Happening World also featured on The Executives’ 1968 eponymous debut album, and was one of the highlights of the album. Many of Barry Mann and Cynthia Weil’s songs have been covered by many artists. That was the case with Come On Over To My Place, which was originally released as a single by The Drifters in 1965. Their version failed to make an impression on the charts, and soon, other artists began to cover Come On Over To My Place. This included Philly based singer Dewey Edwards. He released his cover of Come On Over To My Place on America on Cameo Parkway in 1965. 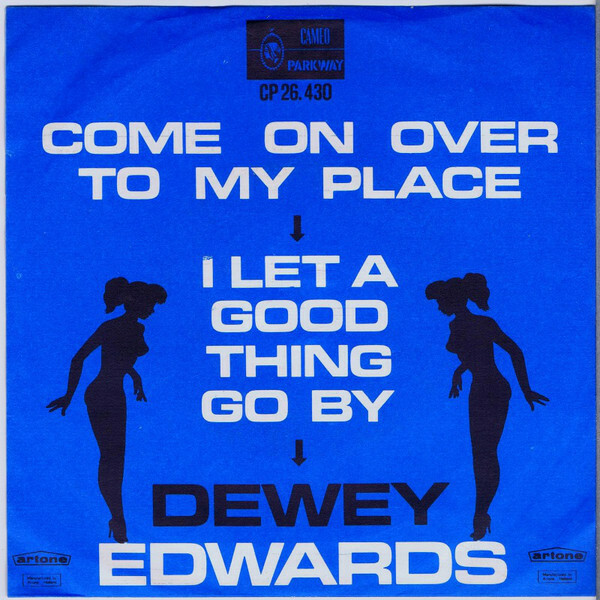 Although it didn’t give Dewey Edwards a huge hit, it’s one of the best and most memorable covers of Come On Over To My Place. After signing to Phil Spector’s Philles Records in 1961, The Crystals would enjoy the most successful period of their career over the next two yeas. 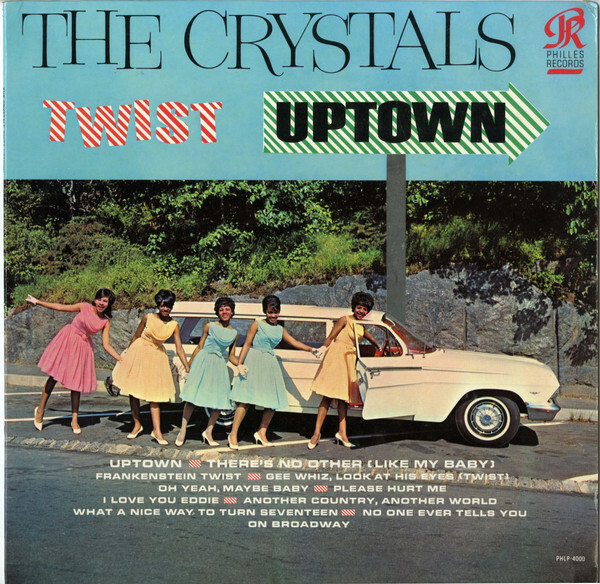 Between 1961 and 1963 The Crystals enjoyed six top twenty hit singles, and released their debut album Twist Uptown in 1962. It featured the original version of On Broadway, which was produced by Phil Spector. He had worked as a songwriter at the Brill Building, and knew Barry Mann and Cynthia Weil and Leiber and Stoller who wrote On Broadway. By 1962, Phil Spector was a successful and groundbreaking producer, who had honed his own unique production sound. This he put to good use on Twist Uptown, and songs like On Broadway. Meanwhile, The Crystals breathe life and meaning into this song about city life, as they sing of “dreams come true every day,” during what’s the most realistic portrayal of the original lyrics. Danny and Diego were a New York based duo, who were discovered by Stan Kahan. In 1965, they became the latest group to cover Glitter and Gold. When it was released as a single on the Musicor, this pop rock anthem-in waiting failed to find the audience it deserved. Since then, it’s been an oft-overlooked hidden gem, that is a welcome addition to On Broadway: The Songs Of Barry Mann And Cynthia Weil. British singer Julie Grant followed in the footsteps of The Cookies and released Baby Baby (I Still Love You) as a single. It was penned by Cynthia Weil and Russ Titleman, with Tony Hatch taking charge of production. He’s responsible for a slick girl group sound that was released on Pye on 1965. Sadly, commercial success eluded Baby Baby (I Still Love You), and it was the one that got away for Julie Grant. The period between 1958 and 1963 was the most successful of The Shirelles’ career. However, when their producer Luther Dixon left Scepter Records in 1963 their career stalled. To add to The Shirelles’ woes, the British Invasion of 1964 saw their music fallout of fashion. A year later in 1965, The Shirelles sued Scepter Records, and went on strike. However, Scepter Records had plenty of unreleased recordings of The Shirelles in the vaults. 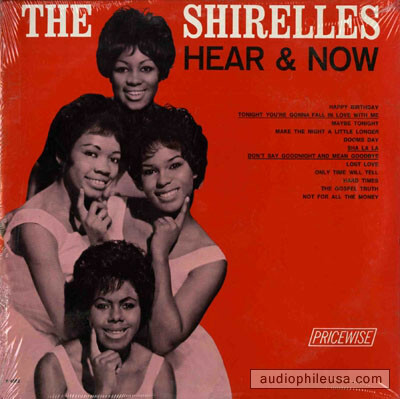 Some of these recordings became The Shirelles’ first album in two years, Hear and Now. It was released on Scepter Records’ budget label Pricewise in 1965. One of the songs on Hear and Now was The Gospel Truth which Barry Mann and Cynthia Weil wrote with Mike Anthony. Although it features The Shirelles’ trademark girl group sound, The Gospel Truth swings and has a gospel influence. Not long after the release of Hear and Now, Scepter Records settled out of court with The Shirelles, and they resumed their recording career. Keith Powell was born in Birmingham, England and made his recording debut in 1963. Two years later, in 1965, and Keith Powell released a cover Goodbye Girl, which had originally been recorded by Billy Carr. Goodbye Girl was released as a single on the Piccadilly label, which was an imprint of Pye. Sadly, the single failed to trouble the charts, despite the quality of this soul-baring single. Walter Jackson had been signed to Okeh since 1964, and by 1967, had released two albums. His third album was Speak Her Name, which was released on Okeh in 1967. It featured Not You, which was penned by Barry Mann and Cynthia Weil. 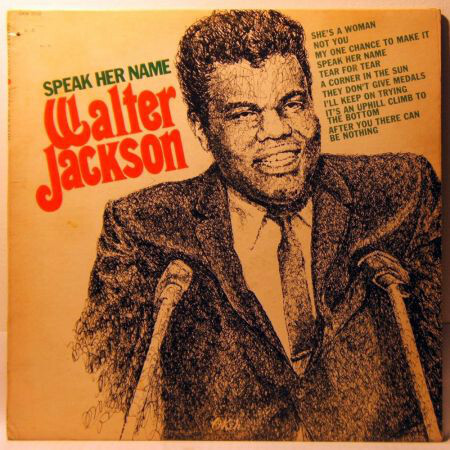 On Not You, Walter Jackson a soul-baring vocal that is one of the finest moments on Speak Her Name. The Animals were the first band to record We Gotta Get Out Of This Place, and their version is regarded by many critics as the definitive version of the song. 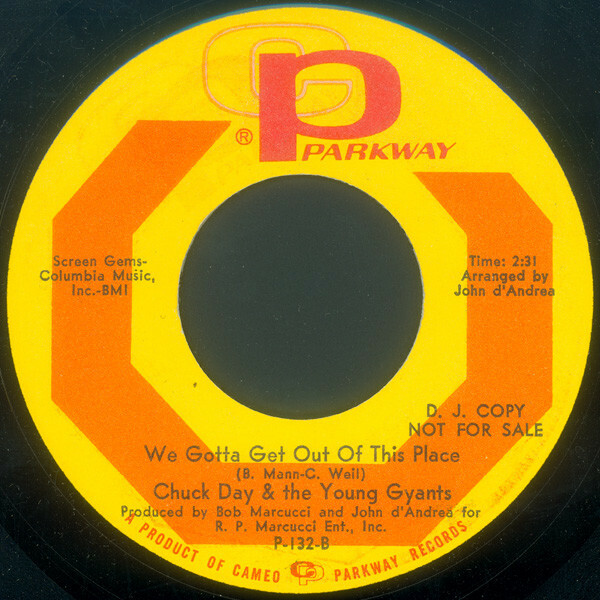 However, bluesman Chuck Day and The Young Gyants reinvented the song in March 1967, when it featured on the B-Side of his Cameo Parkway single Tom Dooley. It’s bluesy and soulful with gospel-tinged harmonies. Chuck Day and The Young Gyants are responsible for a powerful and emotive reading of We Gotta Get Out Of This Place, that shows a new side to this classic song. In 1969, Dionne Warwick travelled to Memphis to record her new album Soulful with Chips Moman, at his American Sound Studios. This was a first, as usually, Dionne Warwick worked the songwriting and production team of Burt Bacharach and Hal David at Scepter Records. Not on Soulful, which saw Dionne Warwick, move away from pop stylings of previous albums. Replacing this was a much more Soulful sound. Dionne Warwick’s new sound proved popular when Soulful was released by Scepter Records in 1969. It reached number eleven in the US Billboard 100 and number two in the US R&B charts. One of the highlights of Soulful was Dionne Warwick cover of You’ve Lost That Lovin’ Feelin’, which Barry Mann and Cynthia Weil wrote with Phil Spector. Dionne Warwick brings the lyrics to this oft-covered classic song to life, delivering the lyrics as if she’s lived and survived them. During his career, B.J. Thomas covered several Barry Mann and Cynthia Weil songs, including the hits I Just Can’t Help Believing and Rock and Roll Lullaby. However, the ballad This Is A Love Song was the one that got away. It was recorded by B.J. Thomas but never released until it found its way onto a compilation in 2006. Belatedly B.J. Thomas’ beautiful, heartfelt rendition of This Is A Love Song was released, and this long-lost, hidden gem was heard for the first time. 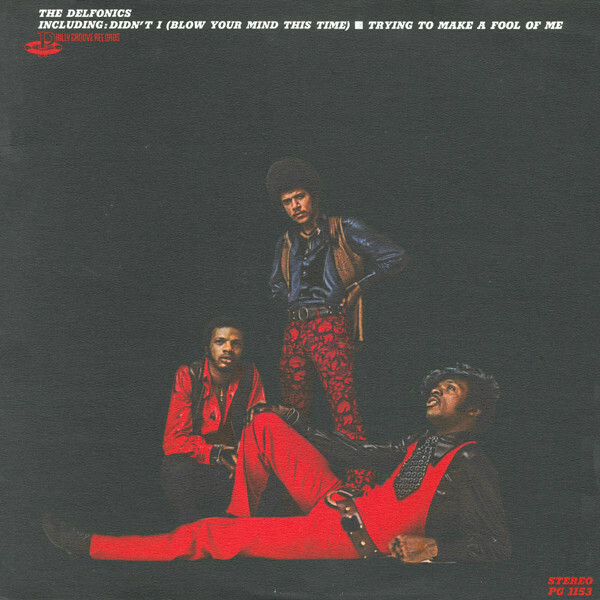 In 1970, The Delfonics, who were one of the pioneers of the Philly Soul, released their eponymous debut album on Stan Watson and Sam Bell’s Philly Groove Records. One of the songs on The Delfonics, was Barry Mann’s When You Get Right Down To It. Just like the rest of the album, it was arranged by producer Thom Bell with Stan Watson and Sam Bell taking charge of the production. When The Delfonics was released in 1970, it was the best album of group’s career so far. Especially with songs of the quality of the ballad When You Get Right Down To It, which is a truly timeless song, and a reminder of everything that is good about Philly Soul. On Broadway: The Songs Of Barry Mann And Cynthia Weil closes with Jackie Wilson’s cover of Nobody But You. This became the title-track to Jackie Wilson’s 1976 album on Brunswick. By then, the man they called Mr. Excitement was no longer as popular as he had been during his sixties heyday. Still, though, Jackie Wilson was able to make good use of his four octave vocal range. On the ballad Nobody But You, he unleashes a soulful, vocal powerhouse where he combines power and passion on what was, without doubt, one of the highlights of his 1976 album. It’s also ensures that On Broadway: The Songs Of Barry Mann And Cynthia Weil ends on a high. Barry Mann And Cynthia Weil were one of the greatest songwriting partnerships in the history of popular music. They’ve enjoyed a long and successful career, and were one of the most prolific and successful of the songwriting partnerships formed in the Brill Building. While some of the Brill Building songwriting partnerships faltered, Barry Mann And Cynthia Weil went from strength to strength, and were inducted into the Songwriters Hall of Fame in 1987. Nowadays, Barry Mann And Cynthia Wei are regarded as one of the greatest songwriting partnerships in the history of popular music. Over the past fifty years, Barry Mann And Cynthia Weil have written countless classic. So many, that it would take a box set to feature ever one of these classic songs. These are just a few of the songs that Barry Mann And Cynthia Weil have written since their songwriting partnership began in 1959. These songs are part of a lifetime’s work. Many of the songs written by Barry Mann And Cynthia Weil have been recorded by the great and good of music. They’ve enjoyed hit singles, gold discs and Grammy Awards. Often, a career has been transformed after recording a Barry Mann And Cynthia Weil composition. Similarly, many an ailing career has been rejuvenated after recording one of Barry Mann And Cynthia Weil’s songs. However, despite all their achievements, Barry Mann And Cynthia Weil are incredibly modest and play down everything that they’ve achieved. To celebrate all that Barry Mann And Cynthia Weil have achieved, Playback Records recently released On Broadway: The Songs Of Barry Mann And Cynthia Weil. It’s a lovingly curated compilation that features twenty-eight songs penned by Barry Mann And Cynthia Weil. This ranges from some of their classic songs, to oft-overlooked hidden gems. On Broadway: The Songs Of Barry Mann And Cynthia Weil features songs from familiar faces, old fiends and new names. Sometimes, the most obvious version of the song is eschewed, and a lesser known cover is chosen. Several times Playback Records strike music gold, in their search through the Barry Mann and Cynthia Weil songbook. Sometimes, artists stay true to the original song, while other times, a familiar song is reinvented and heads in a new and totally unexpected direction. Suddenly, a familiar song takes on new life and meaning. This happens several times during On Broadway: The Songs Of Barry Mann And Cynthia Weil, which is without doubt, the best compilation of Barry Mann And Cynthia Weil’s music released in recent years. On Broadway: The Songs Of Barry Mann And Cynthia Weil is a fitting celebration of one of the greatest songwriting partnerships in the history of popular music. They’ve come a long way since they first met in the Brill Building in New York. Little did they realise when they met that day in the Brill Building, that they would become one of the most celebrated, successful and prolific songwriting partnerships in the history of popular music? ← JEANETTE JONES-DREAMS ALL COME TRUE.